The HeRO (Home Records Organizer) is the ultimate closing folder. It is an expanding, legal size, portable document organizer that adds value and visibility to your business. Makes a great closing gift your clients will use and appreciate. Your clients will use the HeRO closing folder for years to come. The next time they need service or offer referral advice to a friend, they'll turn to you. The HeRO closing folder will help you stand out in an industry as competitive as real estate. 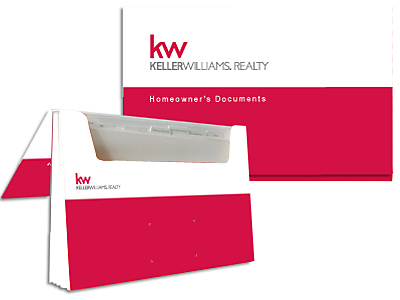 The HeRO closing folder is exactly what they need to keep all their important real estate documents in one place. Exceed your customer's expectations by giving them something your competitors don't. Place your business card in the clear pocket on the front of the HeRO closing folder, and your customers will always have your name and phone number. Your clients will continue to think of you long after the home-buying process has been completed.